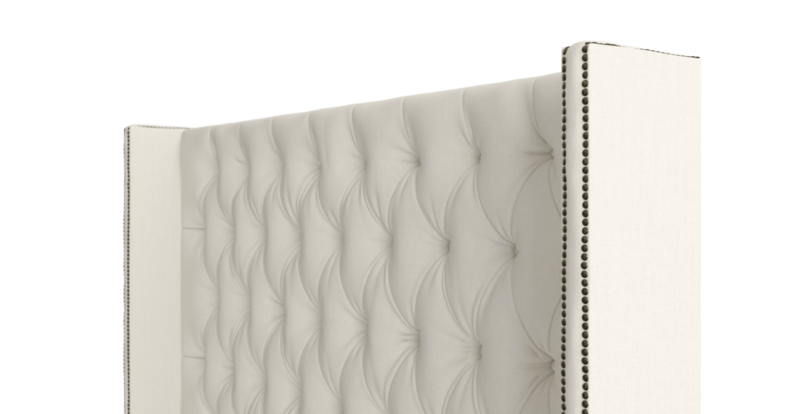 Taking elegance to new heights, the Stella Tall Queen Size Bed Head is a dramatic and stylish bedroom statement. Seen here with the Alessia Accent Chair, Marken Ottoman, Emily Storage Ottoman and Parc Side Table. 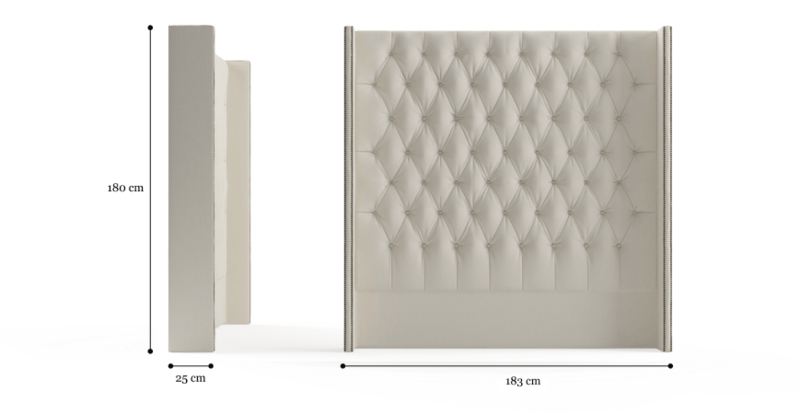 The Stella Bed Head is the epitome of modern luxury, with a striking silhouette, clean lines, and bold presence. Find the perfect size and combination for you, with the complete Stella Collection available from Brosa. Diamond button tufting adds an element of glamour to the look of the Stella, which comes available in a range of hues to suit any bedroom interior. See more bedroom collections available from Brosa in a variety of styles. Wonderfully crafted from the finest quality materials, the Stella pays attention to the tiniest details, making it a designer stand out. A winged feature is accented by a beautiful double layer of intricate brass studs. What colour are the studs on this product? 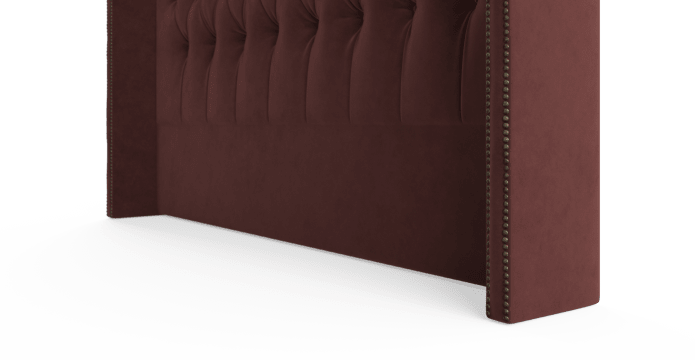 The studs on the Stella Tall Queen Size Bed Head are brass. 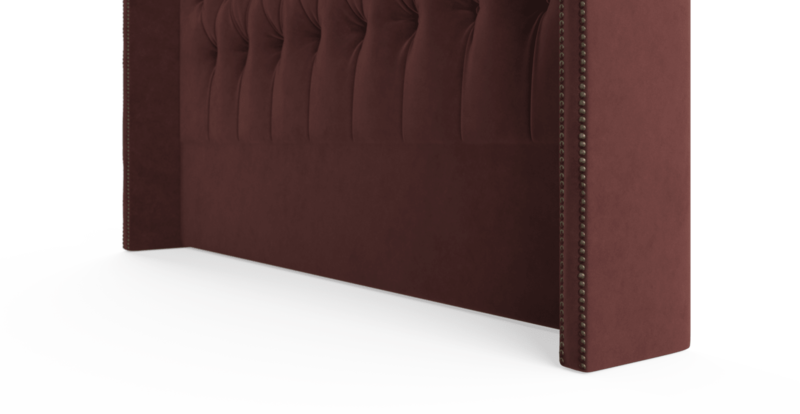 See, touch and feel our fabrics used on our Stella Tall Queen Size Bed Head. For Free! Simply select up to 3 fabrics and add them to your cart. Delivery is on us.